When I arrived at LSWR, I was in terrible shape. I had ear and eye infections and my skin and coat were in bad shape. Despite not feeling well, the entire vet staff said I was so very sweet and such a trooper to go through all the vetting exams. Fast forward to today and take a good look at me now! My infections are pretty much gone and my coat is coming back. It is amazing what TLC, medicated baths, excellent vet care, and a healthy diet can do for a gal like me. Now that I’m better, I’m going to have a dental very soon. Then it won’t be long before I join a very lucky family to call me their very own. You won’t believe how incredibly sweet I am until you meet me. I am a very happy girl and very soon I’m going to make a family VERY HAPPY! This post is about a new intake named Dottie. Dottie won’t be writing this post herself 🙂, her foster mama is going to! I’m taking this one over because Dottie wouldn’t do herself justice and compliment herself as profusely as I am about to! 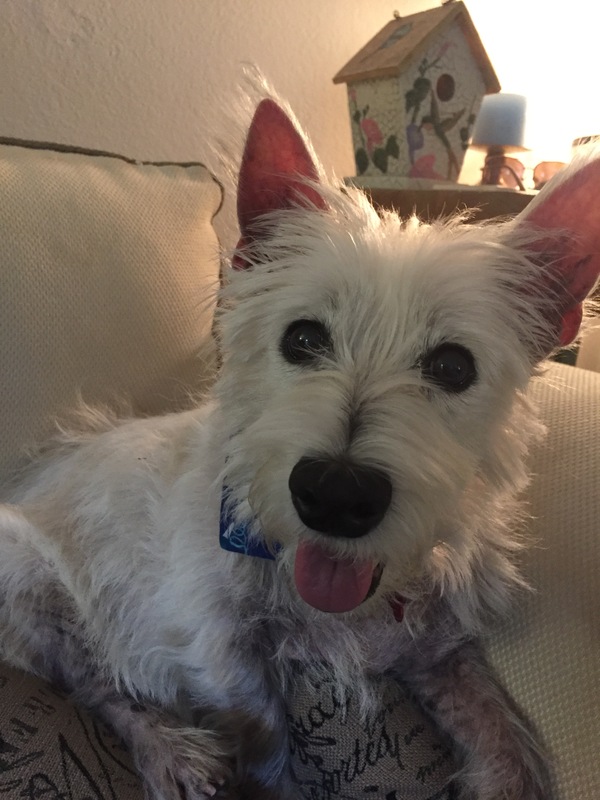 I had the pleasure of welcoming Dottie into my home this past Friday, and I must say – she may be the sweetest, most gentle Westie I have ever met. 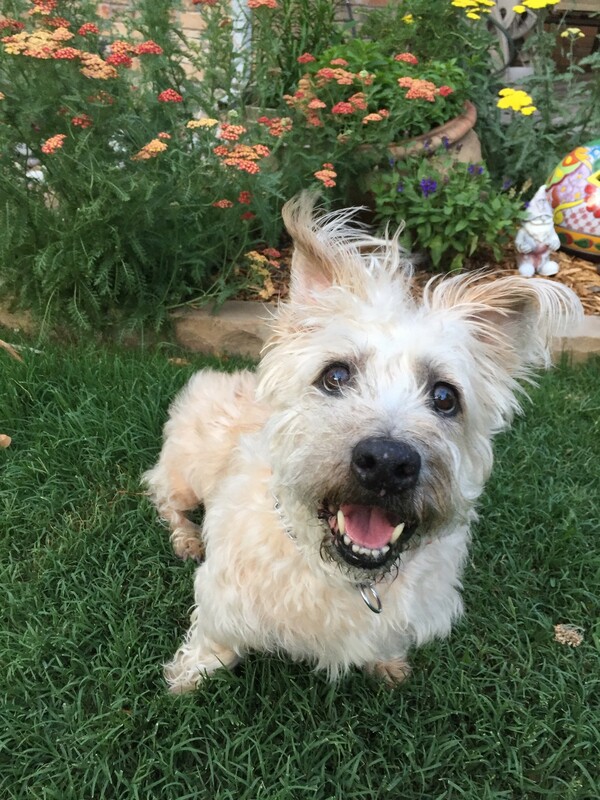 Dottie is a Westie/Poo mix. Unfortunately, her owner became unable to properly take care of Dottie, so she surrendered her to LSWR. 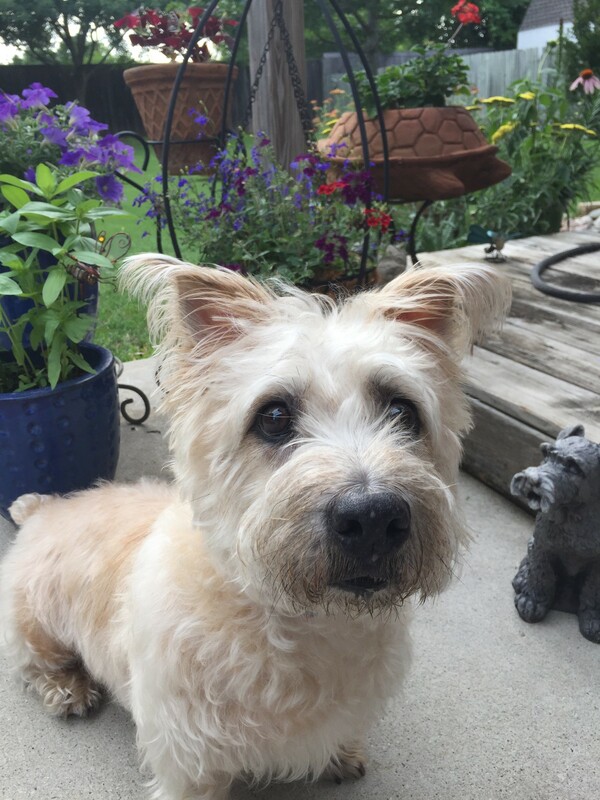 Dottie is 8 years old, potty trained, is comfortable with a crate (though she loves to sleep in bed and snuggle! ), walks like a perfect little lady on a leash and she is great with other dogs once they’ve established who gets to be the alpha! She’s a playful girl (loves playing with her foster brother & sister) and adores belly rubs, as you’ll see from the pics! Dottie does currently have some skin/allergy issues that are being addressed. She has already started medication to clear up her belly area and let some of that soft, white fur grow in! In just a few days, she is looking 10 times better! 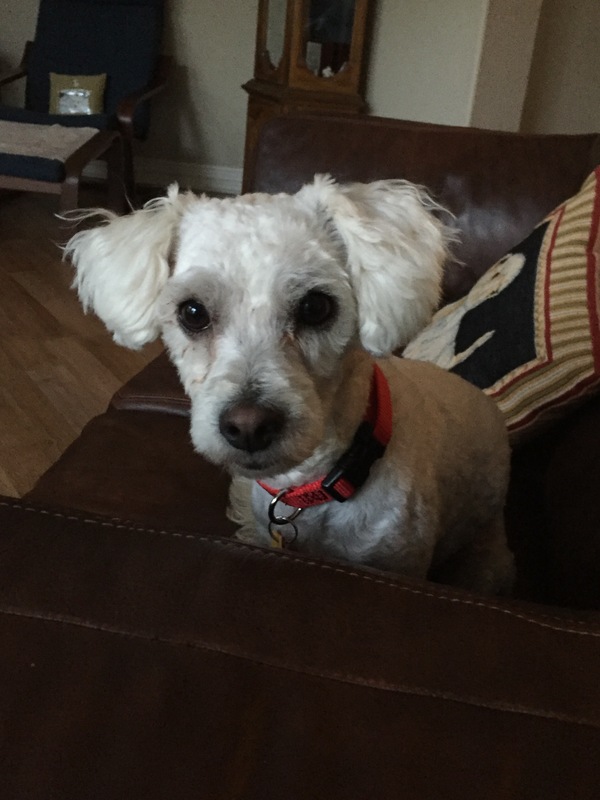 If you’re ready for your furever buddy, Dottie is ready for you! Please complete an application at www.lswr.us and mention “Dottie”! We want to share some wonderful news on Jazzie. Fast forward to today and Jazzie has made great improvements. As you can tell from her recent pictures, her skin is healing her hair is growing back. She loves her foster buddy, Scout and loves to run along with him chasing birds, squirrels and anything that steps foot in their year. We are grateful Jazzie has made a remarkable recovery and continues making daily progress. LSWR will cater to all her needs and show her the love and kindness she so deserves. 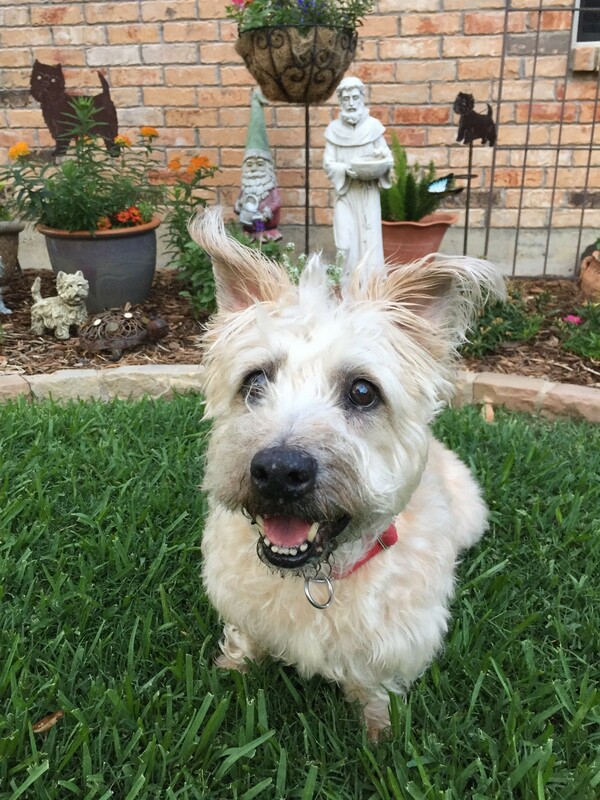 Jazzie is going to make a great Westie companion to a very special family. We are relieved that Jazzie is now in our foster care program where she will get everything she needs. 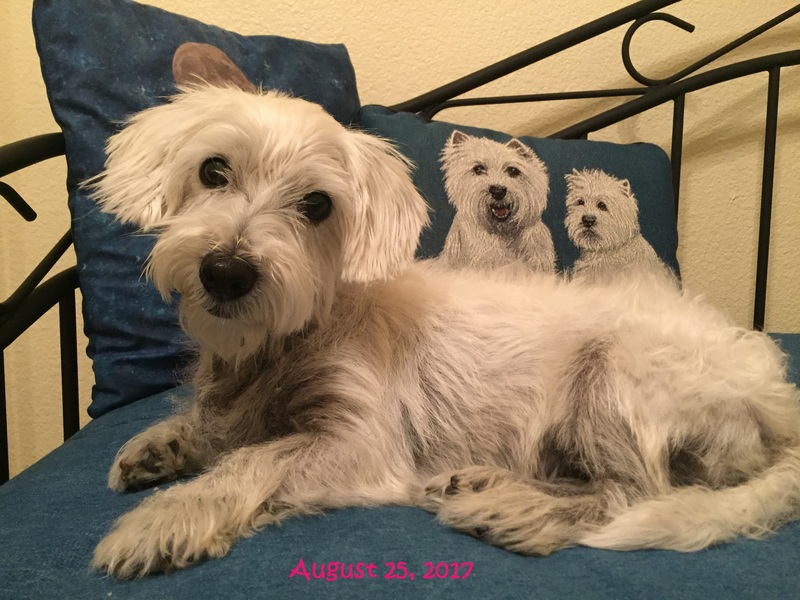 Her owner’s life crumbled right before her very eyes, and it is apparent Jazzie spent her life in a neglectful situation. Jazzie spent her first first five days with LSWR getting vetted, receiving good meals and medicated baths. 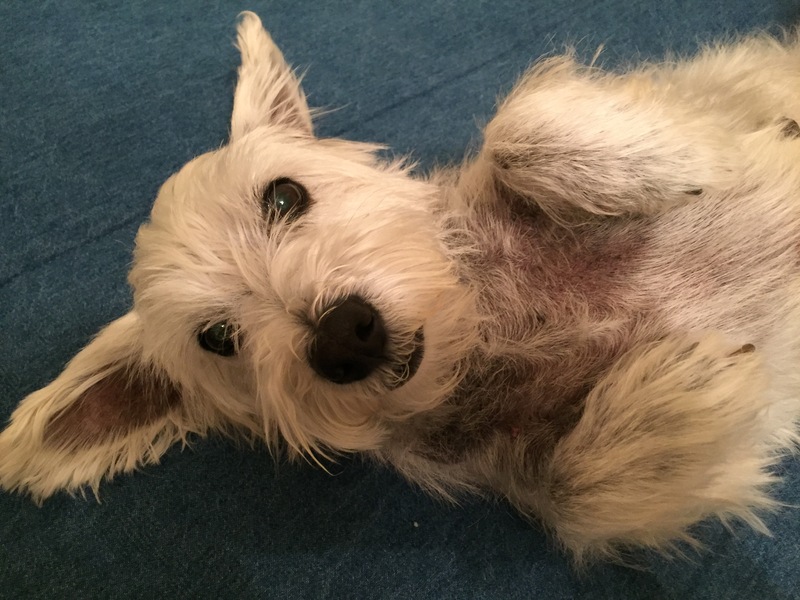 She is now in her foster home with two Westie companions, who are helping her feel right at home. 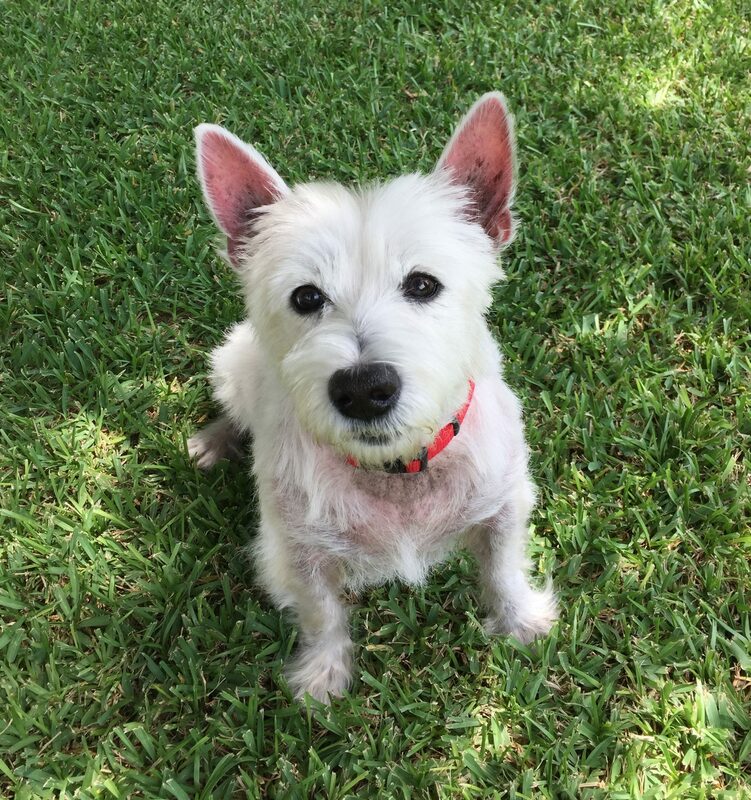 Despite her neglectful past, Jazzie is a very sweet Westie. She gets very excited on her evening walks and keeps up with her Westie pals. She is running and barking along with her foster buddies and loves to come home to get her spa baths. She is a doll!! She allows her foster mom to soak her for 10-15 minutes in the medicated baths, never complaining or even trying to get out of the tub. We believe Jazzie will make a full recovery as she is making daily progress. LSWR will cater to all her needs and show her the love and kindness she so deserves. Jazzie is spayed and estimated to be about 10 years. Once we get her skin issues under control, she will receive a much needed dental. Please stay tuned for more updates on her progress. 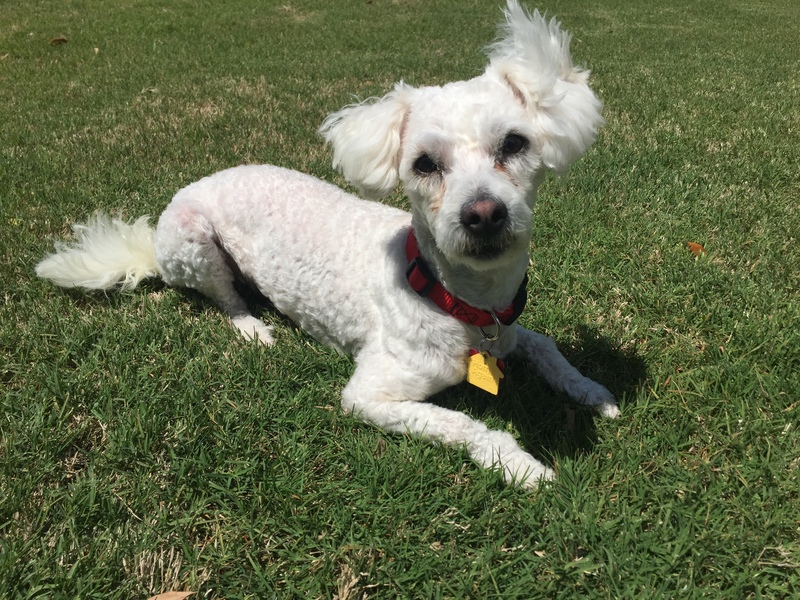 Welcome to rescue life Jazzie – you are a sweet and gentle survivor! 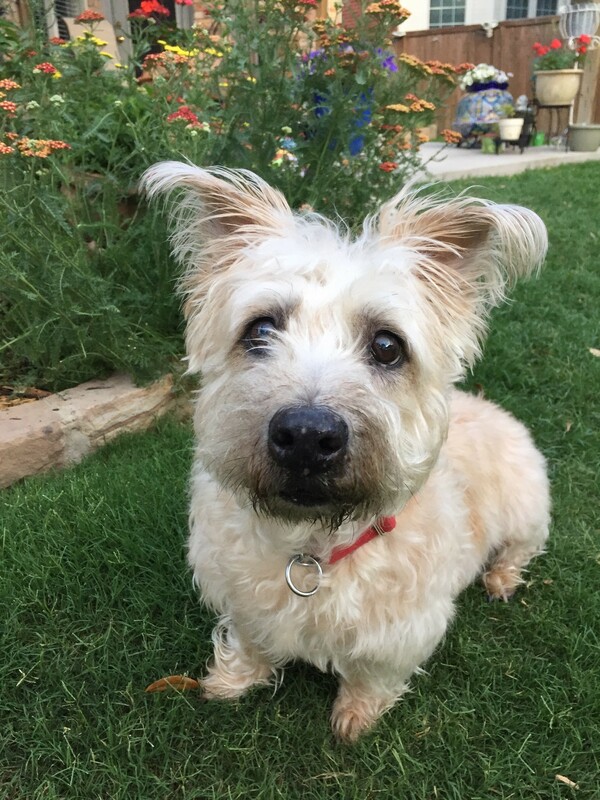 My name is Poppie, and I’m the cutest, most fun Westie/Maltese mix you’ve ever met! 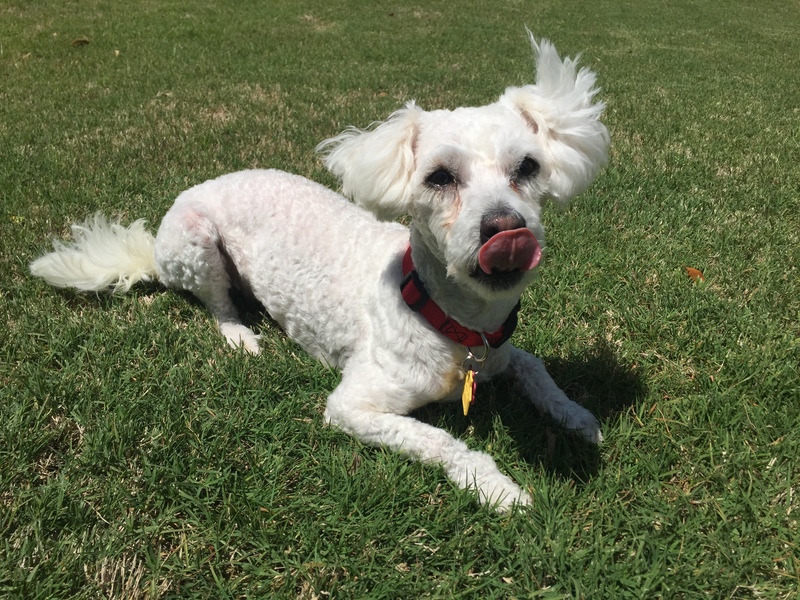 I was found wandering the streets and landed in a local shelter, but no one came to claim me. So, here I am with LSWR! They said they are so happy to have me in their group! I am only 3 or 4 years old, so I’m full of energy! I am healthy, happy little girl and as playful as a little puppy. I have a great disposition and get along with all the pups in my foster home. Just call me Poppie the Party Girl! I must say – I am a very smart girl and am learning my leash and house training quite nicely. 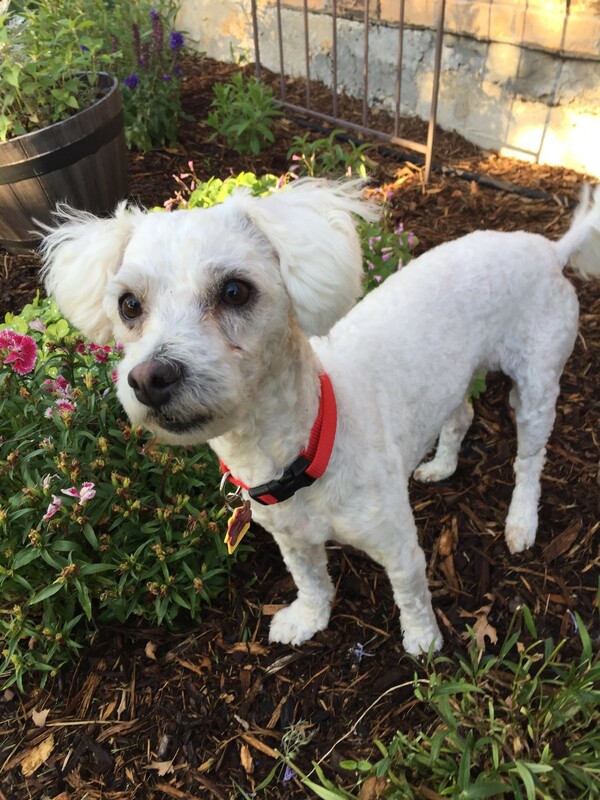 I’m very active & fun… and I love to walk, play and snuggle with my foster mom. Oh, did I mention belly rubs? All I have to do is roll over and throw my paws in the air to let the belly rubs ensue! My little floppy ears are the cherry on top and add to my already extraordinary charm! I am vaccinated, spayed and just had my dental. Unfortunately, I was not given monthly heartworm preventative in the past, so I will start heartworm treatment in a few weeks. My dogtor said I’d be just fine and not to worry. My furever family will need to be located in the DFW area since I’ll be going through heartworm treatment. I am the perfect companion for a family who has lots of time to spend with me – I’m ready to love & play!